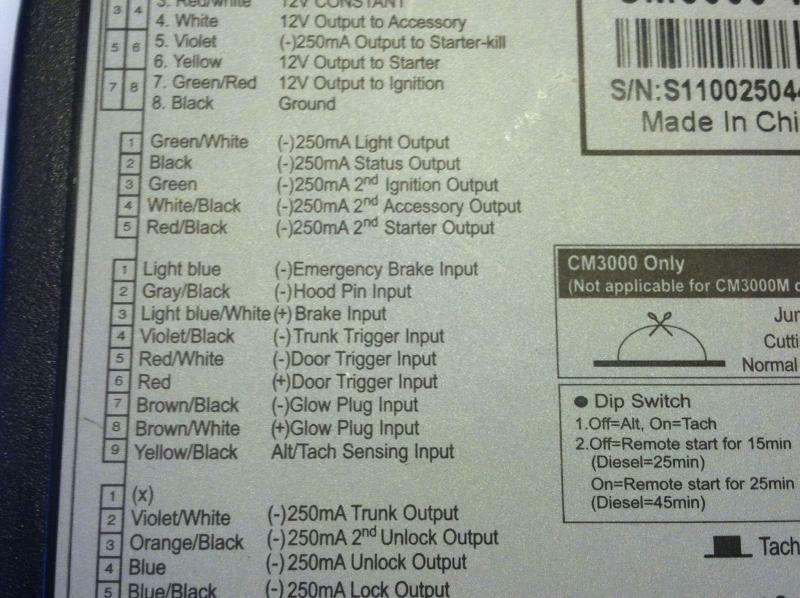 I have a 2005 chevy equinox, and wanting to install a new alarm system since it doesn't have one, my alarm of choice is compustar cm3000vf I have everything installed and have programmed my remotes to work, they only flaw I have is this simple diagram which I don't know what to install for the remote locks since my system is a negative output take a look at the pictures and please help me. so which one do use to wire this up to the alarm box. Your power door locks in your vehicle need a postive pulse to operate, so your going to need to use 2 relays and wire the door locks for positive door locks. Terminals 86 and 87 on both relays go to 12 volts, 85 on one relay is your -lock input (from compustar) the other relay will be the - unlock input (from compustar) . Terminal 30 is your output to the positive door lock wire.and the other relay will be the Unlock output. So on the relay that your - lock input is (terminal 85) terminal 30 will be the + output to the door lock wires in the vehicle.The other relay will be your Unlock relay. Your vehicle lock wire is Lt.Blue and the Unlock wire is Dk Blue. Last edited by IT Hz; 04-17-2013 at 10:24 PM.